Be careful this game is an extension of Ascension: Des Âmes Déchaînées and cannot be played alone. 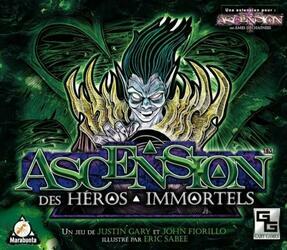 To be able to play it you must have a copy of the game Ascension: Des Âmes Déchaînées . Contents of the box : 30 crystals, 184 cards, 1 rule of the game.